Police and prosecutors on the Thai island of Koh Samui are to be asked to account for their behaviour before the Public Anti-Corruption Commission over allegations of perverting the course of justice in favour of the son of a Chinese-American millionaire. 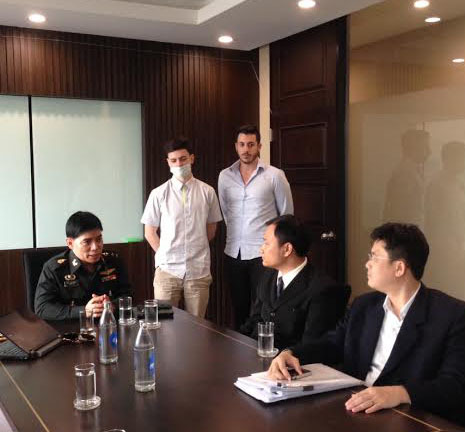 And the Office of the Thai Attorney General will also be called to account in a case in which two former pupils of the Shanghai American School named as 20-year-olds #RaymondChang and #RyanWang are alleged to have severely beaten Australian Jack Hansen-Bartel, former pupil of the New International School of Thailand, causing him serious injuries in a club on the island in June 2014. At the centre of the row is American-Chinese millionaire #RaymondNobuChang, father of one of the accused, who jetted into Samui to defend his son, who was initially with Wang facing charges of attempted murder and causing grievous bodily harm. 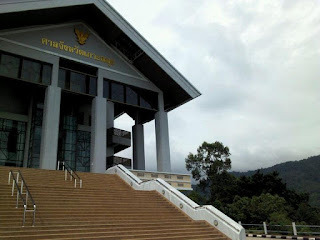 In the latest of a series of incidents in the case it now appears that the Samui judges have approved without the knowledge of #JackHansen-Birtel and his mother, Annie Hansen ( who is his Power of Attorney) that neither Raymond Chang nor Ryan Wang will even now have to turn up for their trial on Koh Samui which is scheduled to run from December 1st to 4th. Hansen-Birtel’s former lawyers Prachaya Law, Bangkok, which is on several Embassies’ lists – and was in this case recommended by the Australian Embassy – had not informed their clients of this agreement. Jack is studying at Monash University. 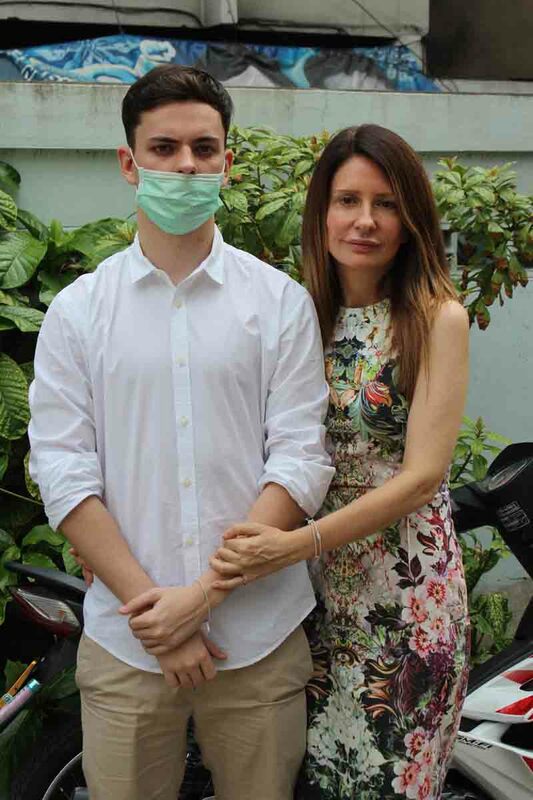 Jack and his mother only discovered the two American Chinese did not have to face trial after changing lawyer, suspecting Prachanya Vijitpokin the boss of the law firm seemed to be acting for the opposition. “That is when their new lawyer Lada Sophaphinant read the agreement which was signed on behalf of Jack Hansen-Birtel by Nutchapat Maneewongs of Prachaya Law. Thaweekiat Dhuriyaphaphan and Nisara Upadsaring were the Samui judges. Lada was surprised. A straightforward case had been completely turned around. Even if Jack Hansen-Birtel was guilty of any offence is it the sort of offence which is sorted out on the spot at a police station or at worst at one of the highly publicised tourist courts which were developed specifically for this sort of incident. The two American-Chinese have been given leave not to attend the trial Section 172 of Thai criminal procedure. Leave such as this is rarely granted. Had they been asked neither Jack nor his mother would have signed such an agreement. The circumstances of the case, they say, are black and white. He was viciously attacked without provocation at the Green Mango Club, Chawaeng Beach, Koh Samui. Witnesses identified his assailants and they admitted the offence when they were first arrested – claiming they were going to the aid of a damsel in distress – a holiday girlfriend of Ryan Wang named Tiffany Marika Turner, a half Japanese half New Zealand student who has just left the Sacred Heart International School in Tokyo. The case could have been settled quickly – but Jack’s injuries were so serious that multiple operations have been needed to correct facial damage. Although even school friends of the American Chinese admitted Wang and Chang were at fault, friends of Jack were quick to act when they heard that he had been accused of harassing. They acquired the entire club’s CCTV on the night and morning of the incident. Contrary to claims by Turner, Wang and Chang that Hansen-Birtel was hassling Ms. Turner, the CCTV, shown on ABC’s 7.30 programme, shows Jack and Tiffany walking into the club hand in hand, after Jack says they had exchanged kisses at a pub nearby where they met. At this point they are confronted by Wang and Chang – and Jack leaves after a short conversation. After Chang had told him move on as Tiffany was Ryan’s girl Jack was happily to move off and the CCTV confirms his statement. The attack happened on the dance floor quite some time later. Jack was dancing with friends – who saw no harassment at all. Raymond Nobu Chang flew into Samui guns blazing not long after the incident knocking a Channel 7 (Aus.) camera before what appear to be a series of meetings in the office of prosecutor Paiboon Achawananthakhu– the same man prosecuting the two young Burmese for the murders of Hannah Witheridge and David Miller on Koh Tao. The first turn around was the news from a Police Lt. Danchai, who was involved with the apparently duff Rohingya interpreter in the Koh Tao case, who previously had declared it an open and shut case, announced that Jack was going to be prosecuted. Things moved from the sublime to the ridiculous when a police officer was dispatched by plane from Koh Samui to Bangkok to interview Jack about his alleged non-violent offence. 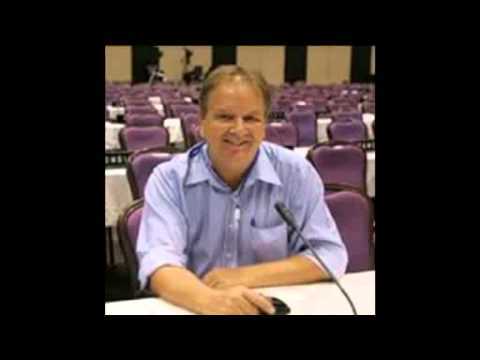 Thai Police would as a rule not move an inch on such an enquiry unless their expenses were paid and Jack had allegedly committed an offence for which the penalty would normally be a 500 baht fine. Yet police were prepared to spend hundreds of dollars. Even the military National Council for Peace and Order were suspicious and they sent a team to oversee the interview to ensure there was ‘transparency’. There has been little transparency since. That was the NCPO’s only involvement . Despite pleas for help from Mrs. Annie Hansen they took no further action lending support to the belief that Thailand’s crackdown on corruption is somewhat colour coded. Samui is of course a yellow-shirt stronghold – and the yellow shirts welcomed military invention into Thailand’s affairs. Meanwhile Thailand’s Ombudsman intervened. He sent a representative to Koh Samui and after his visit prosecutor Paiboon was ordered to step down from the case. 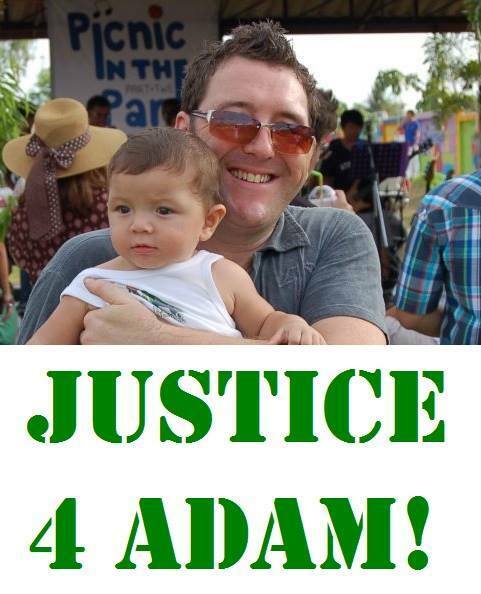 Picture – Deputy Prosecutor Teerawut with Jack Hansen-Bartel ‘ I want to look after you’. But it was then put into the hands of his deputy Teerawut Prammahan, who sits opposite him in his office. Many requests by Hansen-Bartels lawyers for copies of the statements of Chang, Wang and Turner, have not even been acknowledged – even though under the same Criminal Procedure section refusal is a criminal offence which carries with it a fine and prison sentence. The court has been given a witness list, but still not one of the witnesses for Jack Hansen-Bartel has received any notification of court proceedings, says Annie Hansen. The last time Jack was at Koh Samui court officials made a point of banging him up in a cell below the court and allowing the American Chinese to enjoy the incident. ..it goes on and on. To the cynic it seems that at worst what will happen to the American-Chinese is that they may receive a small fine. There will be no grilling in court of their stories. And as for Tiffany Turner her father had announced they she would not be attending any trial anyway. And Raymond Chang? He told ABC Australia: “Ms. Hansen demanded that we pay her 10 million Thai baht or else she would make sure that the boys ‘rot in jail”. This is fiercely denied by Annie Hansen. And in fact not only the figure – but the accompanying threat. And behind the scenes apparently working on the side of the Chinese-Americans is a former Regional Police Chief General Pichit Kuandhethakop, who apparently wields a lot of influence in the area. In cases like this, where corruption is suspected, there will never be any receipts. And of course complaining to the Samui court is not going to produce any results. But if the Public Anti-Corruption Commission finds that corruption did take place – then a case can well be taken out in the United States. But first lawyers want to know what happens in December. Lawyer Prachaya was on the British Embassy law list and represented the family of Adam Pickles Pickles, the teacher and Head of the International School of the Regents who was attacked and put into a coma in a road rage attack in Pattaya. The prosecution of Briton Sean Tinsley for the attack failed. November 21, 2015 Andrew Comments Off on DID OZ EMBASSY LIST LAWYER BAT FOR THE OTHER SIDE?